At the time of this review I'm yet to hear 'The Suburbs' in full, but this easily trumps what I've heard from that record (although funnily enough, the title track of that one has grown on me recently) as well as the first two records. To me the second half of this album sounds a lot like both 'Funeral' and 'Neon Bible' at times, but sadly it doesn't really stand out with the same bombast as the first half, which to me is absolutely brilliant. Possibly only 'Afterlife' matches the dizzying heights of 'Normal Person', 'Here Comes The Night Time', 'We Exist' and of course the one and only Flekky. Der eine oder andere Titel ist dabei, aber leider gibt es viele Ausfälle, so dass ich so ein Album nicht durchgängig hören kann. Jetzt höre ich mal die Highlights der früheren Alben. 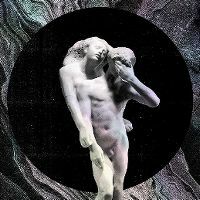 Great album from Arcade Fire. There are many highlights throughout the album, and on a technical level, this is a well produced album. But at the same time, there are a few tracks that drag out a bit, and fail to impress. Admittedly, I have not heard their previous albums in full (I have heard a few songs), so I can't properly compare this to their previous efforts. But generally overall, this is a really good effort from Arcade Fire. Kanadier, wobei es jetzt nicht allzuweit hinter "Neon Bible"
und "The Suburbs" hinterherhinkt....ihr Debut "Funeral"
schwebte da qualitätsmässig eh in anderen Sphären! Habe mir wirklich große Mühe gegeben und hatte die Songs des Albums lange Zeit auf meiner Playlist für unterwegs. Arcade Fire haben hier zwar auf Anhieb mein Interesse geweckt, aber kein einziger Song wollte zunächst richtig zünden. Das hat sich zwar im Laufe der Wochen geändert, aber so vollends warm bin ich mit ihnen dennoch nicht geworden. Im Übrigen war das nun wohl gerade mein 1000stes bewertetes Album. Und unter diesen 1000 kommt Reflektor auf 630 zu stehen.